It is Anjelik Bail Bonds mission to get you released from custody as quickly as possible and rejoin your family. We ensure that our professional and courteous staff make your bail experience is an easy process to navigate through understand. Anjelik Anjelik offers nothing less than dependable and professional customer service from our staff and management while guiding you through each step of the bail bond process. 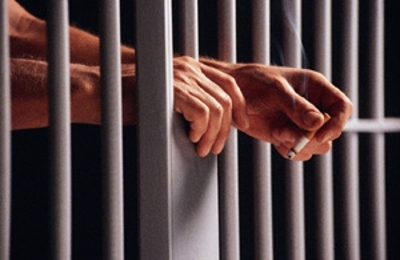 Our experience and knowledge of the criminal justice system will help you gain your freedom. Hello people please,be careful!!!!!!! Make sure check the bond amount. Make sure you call prison records department for amounts. Reasons ,because your money will not be returned to you if you over pay!!!!!!! I had to learn the hard way.The bondsman will bail out quickly ,but if you over pay,you will not be refunded. ..!!!! Thanks to God Almighty I'm free at last!!!!!! Mrs. McCoy is absolutely a blessing, she provides swift service with great customer care...Anjelik Bail Bonds a Great choice in your time of need. Thanks for you're services you provided to me. You really help take the stress of dealing with it all. I'm so glad I decided to call the device was very professional I will definitely use you again. Thanks! 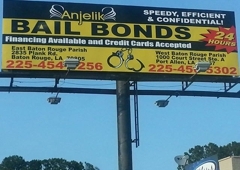 Anjelik Bail Bonds is a really good fast and convenient place to bond a family member or a friend out of prison they have very flexible payment plans it's a great place of business!! Anjelik Bail Bonds -Your Freedom is their Business .Call today there no reason to delay. They are standing by waiting on you.Call ( 225) 454-6256 or (225) 803-8484.Ms.Brandy McCoy and her agent are there to help 24/7 everyday also weekends and holidays!!! My experience with Anjelik Bails Bonds was AMAZING. When I made the call they were there to assist me at that moment. I felt they actually care. There customer service exceeded any other previous bail bonds company I have dealt with. With Anjelik the service was fast and they represent professionalism well. The payment plans are wonderful and the company actually work with you. Thanks Anjelik!